I think sometimes when we get a new machine we are so excited that we want to just dive right in and start stitching. We forget that with this machine comes so many different accessories- aka “parts” or presser feet. 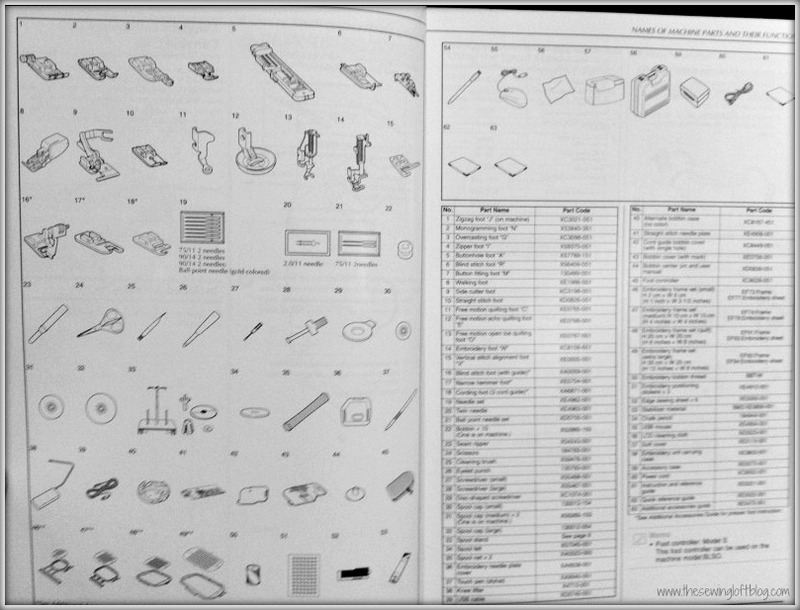 Yes, I am talking about those pages in the manual that show you all the fun presser feet and tools that come with your machine. Let’s be honest, have you ever really looked at these pages? 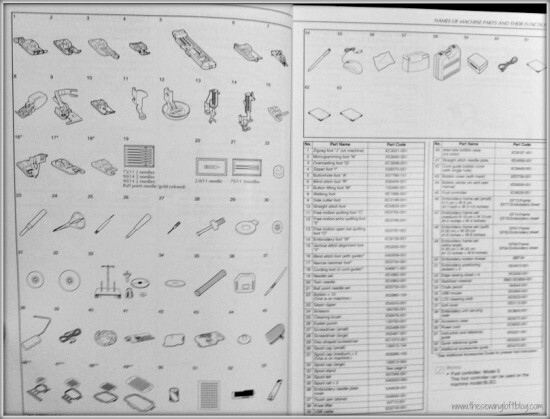 When I counted the presser feet on my manual pages I was shocked. My machine came with 18 different feet. To be fair, I do not use all of them. In fact, I hardly use most of them. But there are a few that stand out in the crowd. And they are not the fancy ones either. For me, these are the work horses of the group. I know what your thinking, that I am going to praise the zipper foot or tell you how much I love the buttonhole foot. While these feet are great, I do not use them everyday. In fact, the zig zag foot (also know as “J” in your manual) is what comes on your standard machine set up and I do not use this for sewing. I use (que the music please) the monogram foot! This under utilized presser foot really does not get much lip service. The monogram foot is sometimes referred to as “N”. It was created to stitch wider, more decorative stitches. It has a line/mark on the side for starting your decorative stitch. This line is for stitch pattern placement. You can also use it for aligning your stitches and decorative pattern when turning a corner. There is a wide cut out on the back. 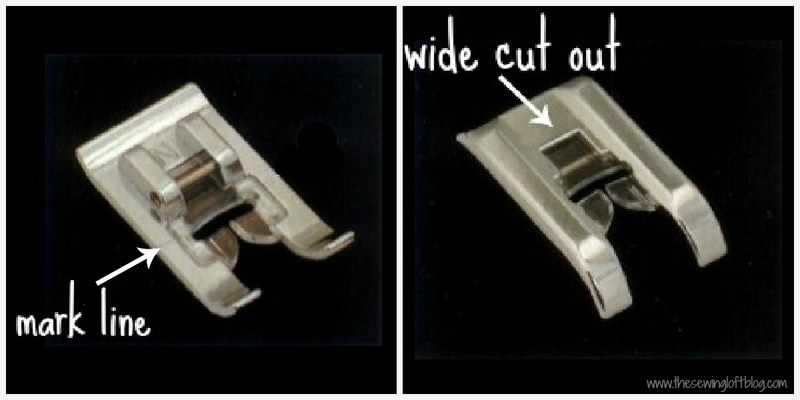 This cut out allows for the foot to travel over your stitches with ease. *Most decorative stitches have a build up of stitches and can produce some bulk. But my favorite part about this presser foot is that it has a wider base. This foot is a full 1/8″ wider than your standard zig zag foot. Now, I know that eight of an inch might not seem like much but for me, it means the world. It allows me to maintain an even amount of pressure when stitching together small pieces. Since most of my work contains smaller pieces, it works. That means for me when comparing presser feet, the monogram foot wins every time to the zig zag foot. Don’t fret if your machine did not come with a monogram foot. You can easily pick one up on-line or at your favorite local retailer for around $15. And since it snaps on, it fit most machines on the market. Hmmmm must admit I’ve never used the “N” foot, so I pulled out my little box of goodies and low and behold … the “N” foot. Can’t wait to try it!! Thanks, Heather! Today, I spent the day researching my sewing machine accessories! Now, I just have to learn to use them all! LOL! Yay! Learning how to use them will take time. Just start out with the simple ones. Or make it fun by tackling a new project for each presser foot. I tend to use mine as my daily foot over any other! The J foot is nice also as when the seem allowance cause a large “bump” it Easily adjusts my pressing the little black button in but otherwise yes the N foot rocks! Yes, it’s funny how that N foot is so helpful. It’s like a hidden secret in your accessory drawer that no one ever talks about. Thanks Heather! I know I’m a little late to the party lol, but I’ve been sewing for almost a year now and I’m just starting to understand the basics. Thanks again! I think I’ll start following you- I’m also new to the “Blog” world so you’ll be my first lol!